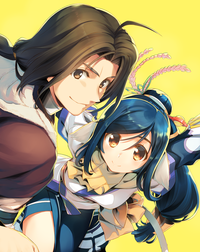 After having previously published the opening movie, Aquaplus has uploaded a full-length promotional trailer for Utawarerumono Zan, a 3D beat-em-up action spinoff game developed by Tamsoft. It is reported that Utawarerumono Zan will retell the entire story of Utawarerumono: Mask of Deception with full 3D models. In this action game, you can have a team of up to 4 characters and switch between them anytime during battles. Currently, 12 playable characters have been confirmed. This trailer also newly informed that Utawarerumono Zan will have additional playable characters through DLC. Oshtor and Munechika are two such characters that are going to be added this way. You can watch the trailer, which has been uploaded by Aquaplus, right below. Utawarerumono Zan will be released for PlayStation 4 in Japan on September 27. There is no news yet for an English localization for this game.